Over a year ago, pre-THM and Celiac Disease diagnosis for my daughter, an afternoon snack was an ice cream sandwich. Or a can of Dr. Pepper (read tips on quitting that particular habit here). Or a slice of pizza. In other words, my less-than-stellar food choices at snack time were causing weight gain, migraines, crazy PCOS symptoms, and extreme late-afternoon fatigue. When I read Trim Healthy Mama last April, it changed my life. I learned how to eat! And it was good food, too, so that I didn't even miss my afternoon sugar high (and subsequent crash). Even better, I discovered THM just a month after my daughter's Celiac Disease diagnosis. THM is naturally nearly all gluten-free, so I was able to learn a ton about yummy, easy, and healthy snacks and desserts. Not only did I drop 30 pounds of stubborn baby weight that I hadn't been able to get rid of otherwise, I got rid of migraines and other health problems that had plagued me for years. There are a lot of snack ideas in the book, but these are some of my favorites from the book and around the internet. If you're needing some new ideas, I hope this helps! 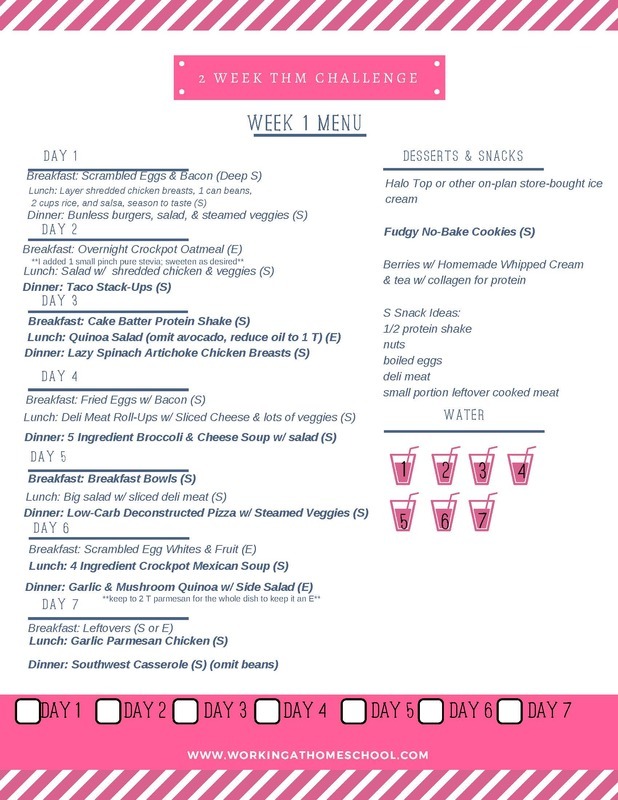 This snack list goes perfectly with my 31 Days of Gluten-Free Trim Healthy Mama Meals (I'll be posting a new 31 day menu in a few weeks, so stay tuned! ), and there's a free printable snack list at the bottom of this post. As an extra bonus, most of these recipes are Paleo friendly, and many can work on the Candida diet, as well (recipes with cheese should be avoided for Candida). Marcona Almonds with Rosemary from Siriously Delicious (S) – These are available pre-packaged from Trader Joe’s, also delicious, but pricey. 22. Hardboiled egg whites (this is good for a quick snack when we’re rushing out the door, because I usually have boiled eggs in the fridge, and the kids are happy to eat the yolks for me). There are specific ways to fit your snacks into a Trim Healthy Mama lifestyle, so please read the book to make sure you choose the right snacks at the right time! 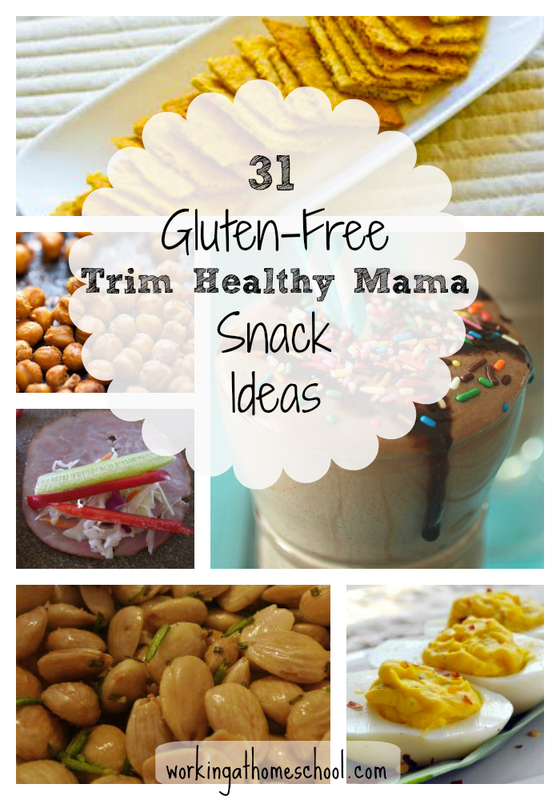 I had a lot more than 31 snacks coming to mind, so watch out for a new list of 31 snack ideas coming soon! « THM Gluten-Free Sugar-Free Easter Menu with printable shopping list! Would Quest bars be an ‘S’ snack?